President of Republic of Mozambique Filipe Nyusi and his wife Isaura Gonçalo Ferrao Nyusi are presently in Netherlands for an official visit. 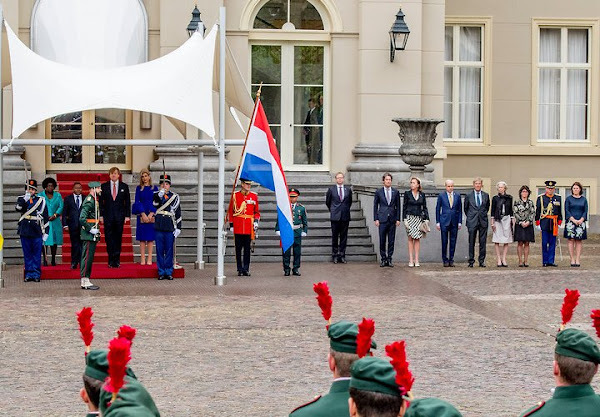 King Willem-Alexander and Queen Maxima held a welcoming ceremony for President of Republic of Mozambique Filipe Nyusi and his wife at Noordeinde Palace in Hague. Des manches comme ça doivent tremper dans l'assiette ! I like royals that band together for change. Fashion-wise, very regal and appropriate but neither are my favorite for either women. They both style their looks well. Oh the blue! The sleeves! Perfection! Diane, do you really like trumpet​ sleeves? I cannot stand them. Otherwise Maxima looks great here. I do Romana 🙄 they are different. Only Maxima could carry this off. The color is gorgeous. I like them as well. 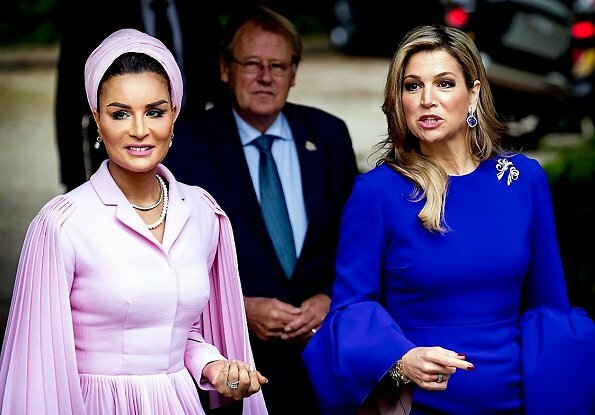 Madeleine, Maxima, Mathilde, and Letizia have worn beautiful trumpet sleeves. This dress is growing on me! As a rule I don't like trumpet sleeves either, but Maxima really looks great - never say never, I guess! Sheikha Moza is a beautiful woman, but she's wearing way too much makeup. I love Maxima's dress she's one of a few ladies who can pull off it, because she wears the dress and it doesn't wear her. I think there has been some facial work going on since we last saw Sheikha Moza and it is not an improvement. That blue is gorgeous! And fabulous with Maxima's jewels. 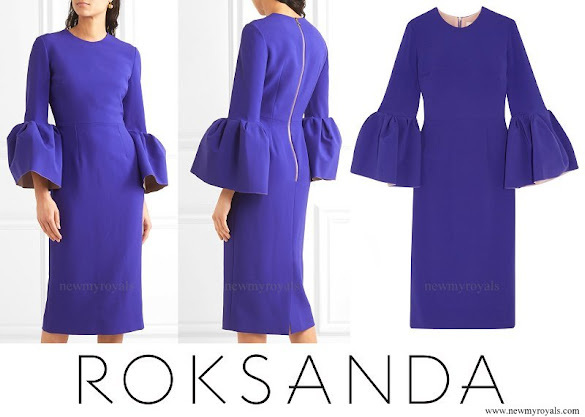 Sheika Moza usually outdoes every other woman, royal or not, in elegance--but not this time! Maxima is superb. I really like Maxima's dress. Its color and style looks fantastic on her, also her earrings and brooch look great. I love Maxima's look - the colour is just fabulous and I also like the sleeves. Jewellery is great. I'm not keen on the pleated cape sleeve things on Sheika Mozah's outfit but I like the colour. LOL Heather. I actually like these dramatic sleeves a lot and I feel both women carry them off. But your comment was funny! I love Maxima's dress, vibrant color, totally trendy and it fits her like a glove, but that hair... OMG!! !, personally she ruined the outfit. I have no kind words for the outfit of Sheikha Moza, so I won't comment. Love the colour on Maxima, just can't stand the sleeves. Q Maxima looks gorgeous, just wish she blended her extensions in a bit more.